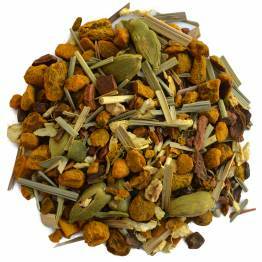 A blend made with turmeric root, designed with anti-inflammatory ingredients for your health! Powdered turmeric is a great substitute for cut turmeric. 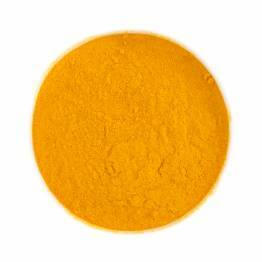 Powder is great for use in turmeric lattes and curried dishes. A blend rich in antioxidants to promote good health. Steeping Time: 5-10 minutes mins. 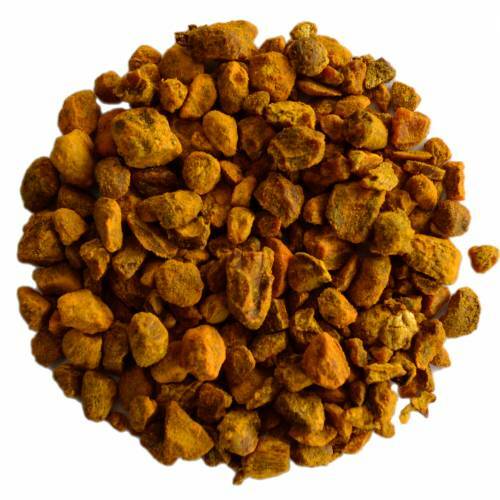 Organic cut turmeric root from India is perfect to add to your tea for flavour and health benefits. This cut form makes it easy to add turmeric to tea without having powder at the bottom of your cup! Add turmeric c/s to your favourite chai, black tea, herbal teas or use alone with a bit of pepper to help your body absorb the many benefits that turmeric has to offer. Learn more about the health benefits of turmeric from our friends at CogniTune: https://www.cognitune.com/turmeric-curcumin-benefits. We recommend using a bit more C/S than you would powder, e.g. if you typically use 1 tsp of turmeric powder, try 2 tsp of turmeric c/s. You may have to experiment with proportions. Base flavor: Earthy, ginger and mustard notes, slightly sweet. Have you tried Turmeric Root C/S? Tell us what you think! I love adding turmeric to my homemade chai, and often prefer to use the fresh root over powder to keep all the powdered bits out. Fresh root isn’t always easy to find, and this cut turmeric is the perfect solution. I need to use more cut dried root than powder. I sometimes just infuse the turmeric c/s in cold milk in my fridge, to make a turmeric milk cold brew, easy to add to chai or drink alone. Cut turmeric is very hard to find, and even harder to find organic cut turmeric. Really happy with this product!